In 1929, Lemuel Whitley Diggs arrived in Memphis as a newly minted physician from the Johns Hopkins University School of Medicine. Rather than establish a private practice, which would have been a lucrative endeavor in a modern city such as Memphis, Diggs took a position as one of the first full-time faculty members with the University of Tennessee Medical Units, a position that afforded Diggs access to both patient care and clinical research, and a decision that would later define his career. As part of his position, Diggs saw patients at the Memphis City Hospital, a poor, inner-city facility constrained by Jim Crow laws and racial bias. He immediately recognized a high rate of sickle cell disease among his patients, a disease Diggs had been taught was rare and one laden with negative racial attributes. Diggs's study of sickle cell disease would lead him to confront medical racism, establish the South's first blood blank and the nation's first sickle cell center, and help define the mission of St. Jude Children's Research Hospital. 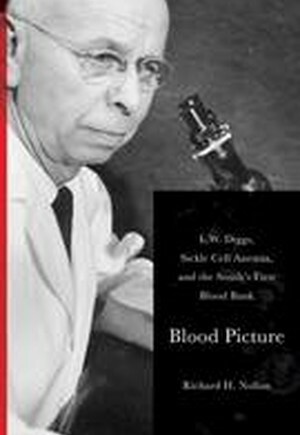 Essentially a biography of Diggs, Blood Picture relates the life of a physician and intellectual with strong convictions and medically forward thinking. Diggs's career spanned the Great Depression, World War II, and the civil rights movement, and he pushed the limits of medicine and sicklecell research in times of turbulent social change. His life reveals the consciousness of the South as seen through the profession he admired and loved.